Every year since 1976, Project Censored-a university-wide project at Sonoma State University founded by Carl Jensen, directed for many years by Peter Phillips, and now under the leadership of Mickey Huff-has produced a Top-25 list of underreported news stories and a book, Censored, dedicated to the stories that ought to be top features on the nightly news, but that are missing because of media bias and self-censorship. Seven Stories Press has been publishing this yearbook since 1994, featuring the top stories listed democratically in order of importance according to students, faculty, and a national panel of judges. Each of the top stories is presented at length, alongside updates from the investigative reporters who broke the stories. Beyond the Top-25 stories, additional chapters delve further into timely media topics: The Censored News and Media Analysis section provides annual updates on Junk Food News and News Abuse, Censored Déjà Vu, signs of hope in the alternative and news media, and the state of media bias and alternative coverage around the world. In the Truth Emergency section, scholars and journalists take a critical look at the US/NATO military-industrial-media empire. And in the Project Censored International section, the meaning of media democracy worldwide is explored in close association with Project Censored affiliates in universities and at media organizations all over the world. A perennial favorite of booksellers, teachers, and readers everywhere, Censored is one of the strongest life signs of our current collective desire to get the news we citizens need-despite what Big Media tells us. Mickey Huff is the Director of Project Censored and is a member of the board of directors for the Media Freedom Foundation. He is currently an associate professor of history at Diablo Valley College (DVC), located in the San Francisco Bay Area. Huff is radio co-host of the Project Censored Show with former Project Censored director Dr. Peter Phillips. The program airs as part of The Morning Mix on KPFA inBerkeley, CA on Pacifica Radio, and is rebroadcast on the Progressive Radio Network online out of New York City. He is also on the board of directors of No Lies Radio and is a former advisor to the Students for a Democratic Society at DVC. Huff regularly holds forums on campus with authors and activists from across the country to discuss issues surrounding history, critical thinking, and current events. As mentioned, Peter Phillips directed Project Censored for many years. A professor in Sociology at Sonoma State University, Peter is also the President of the Media Freedom Foundation, a nonprofit established in 2000 to support First Amendment organizations and investigative research by raising funds for and working closely with Project Censored, and countless other investigative research and media related organizations. Censored 2012 was published in October 2011. Josh Silver is the co-founder and current CEO of United Republic, an organization fighting the corrupting influence of well-financed special interests over American politics and government. He is also the former CEO and president of Free Press, the nonpartisan, nonprofit organization co-founded with Bob McChesney and John Nichols in 2002 to engage the American public in media policy. He was previously campaign manager for the successful "Clean Elections in Arizona" ballot initiative; director of development for the cultural arm of the Smithsonian Institution in Washington, D.C.; and director of an international youth exchange program. He has published widely on media, telecommunications, campaign finance and other public policy issues. Silver has been profiled the Wall Street Journal and featured in outlets including the New York Times, The Washington Post, USA Today, Newsweek, Los Angeles Times, Christian Science Monitor, Salon.com, C-SPAN, and NPR. He speaks regularly on media and technology issues and blogs at The Huffington Post. Silver is one of the leading figures in the growing movement for media reform. His quest to foster more critical, investigative journalism led him to start Free Press, arguably the most effective organization in the media policy reform space. His work with Free Press focused on inhibiting media consolidation, ensuring that the Internet is fast, neutral and affordable, fostering more critical, independent journalism, and encouraging a more robust, politically insulated public media system. 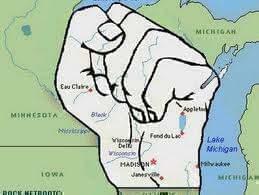 In the spring of 2011, Wisconsinites took to the streets in what became the largest and liveliest labor demonstrations in modern American history. Protesters in the Middle East sent greetings-and pizzas-to the thousands occupying the Capitol building in Madison, and 150,000 demonstrators converged on the city. It Started in Wisconsin includes eyewitness reports by striking teachers, students, and others (such as Wisconsin-born musician Tom Morello), as well as essays explaining Wisconsin's progressive legacy by acclaimed historians. The book lays bare the national corporate campaign that crafted Wisconsin's anti-union legislation and similar laws across the country, and it conveys the infectious esprit de corps that pervaded the protests with original pictures and comics. Thomas Frank is an American author, journalist and columnist for Harper's Magazine. He is a former columnist for the Wall Street Journal, authoring "The Tilting Yard" from 2008 to 2010. Frank is a historian of culture and ideas and analyzes trends in American electoral politics and propaganda, advertising, popular culture, mainstream journalism and economics. With his writing, he explores the rhetoric and impact of the 'Culture Wars' in American political life, and the relationship between politics and culture in the United States. 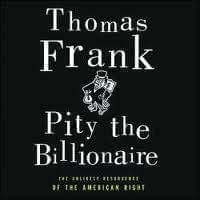 His new book, Pity the Billionaire, Frank examines the peculiar mechanism by which dire economic circumstances have delivered wildly unexpected political results. Using firsthand reporting, a deep knowledge of the American Right, and a wicked sense of humor, he gives the first full diagnosis of the cultural malady that has transformed collapse into profit, reconceived the Founding Fathers as heroes from an Ayn Rand novel, and enlisted the powerless in a fan club for the prosperous. The understanding Frank reaches is at once startling, original, and profound. 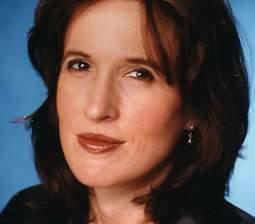 This week, Bob is joined by Katrina vanden Heuvel. Katrina is the editor, publisher and co-owner of The Nation magazine and has authored several books about American politics. A weekly columnist for WashingtonPost.com, she is a frequent commentator in the media on American and international politics. She has received awards for public service from numerous groups, including The Liberty Hill Foundation, The Correctional Association and The Association for American-Russian Women. In 2003, she received the New York Civil Liberties Union's Callaway Prize for the Defense of the Right of Privacy. She is also the recipient of The American-Arab Anti-discrimination Committee's 2003 "Voices of Peace" award. Katrina is a member of The Council on Foreign Relations, and she also serves on the board of The Institute for Women's Policy Research, The Institute for Policy Studies, The World Policy Institute, The Correctional Association of New York and The Franklin and Eleanor Roosevelt Institute. Her newest book, The Change I Believe In: Fighting for Progress in the Age of Obama, was released in October 2011. This episode's maiden broadcast will be aired this Sunday, January 1, 2012, although it was recorded in December of 2011.